When you are ready to sell your home or property there are many ideas, decisions and processes you need to know about. You must first realize the home where you currently live is no longer yours once you place a "for sale" sign in the yard. At Semonin, we have hundreds of thousands of hours helping sellers market homes, negotiate contracts, tackle home inspections and make it to the closing table. We pride ourselves on offering sellers a wealth of tools and resources to expose properties for sale to the general public. Semonin is a full service brokerage company. We are there with you at the start of the process and stay with you until the closing table and beyond. Our company has been selling real estate since 1915. We know real estate and we know our tools and knowledge can benefit your desire to sell your property. A good place to start when thinking about selling your home is to look for facts about how the market is doing. How many months of inventory are on the market? How many days does it take, on average, to sell a home? Is the average selling price versus list price going up or down in the market? Market updates are available right here on Semonin.com, with new data provided weekly, monthly, and quarterly. We highly recommend you speak with a Semonin agent to get specific market information about your home's location and price range and assistance with pricing your property properly. The best market information is called a CMA (Competitive Market Analysis) where one of our agents can look at just your home and compare it with homes currently on the market, recently sold, and recently expired. 2. SHOULD YOU FIX UP, EXPAND OR SELL IT NOW? Selling your home is NOT always your best move. 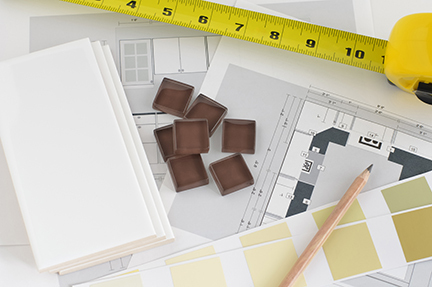 Sometimes you just need to tweak your house a bit with a remodel or fix up something that has bothered you for months or years. Other times you need to invest some big dollars and expand. You love the neighborhood but need some more space... expanding is the answer.Brokerage companies and real estate agents meet and know a lot of people in the real estate industry. We know people. We know home repair companies and remodelers. We know mortgage companies like HomeServices Lending which has special programs available for remodeling your home. However, many times a fix-up simply will not do. An expansion of you home does not seem the desired path to take. So you think now is the time to consider selling. We think the time is right to move to step 3. When you've made up your mind and you are ready to sell your home, selecting the right REALTOR® is an important first-step to making it to the closing table. Semonin agents have numerous tools to market your home. From traditional real estate activities to state-of-the-art technology, Semonin agents have the tools to showcase your home in today's competitive real estate market. Marketing real estate covers a wide range of buyers. Some are first time buyers. Some buyers have bought enough homes they could sell real estate themselves. Some buyers are young and some are more seasoned with age. 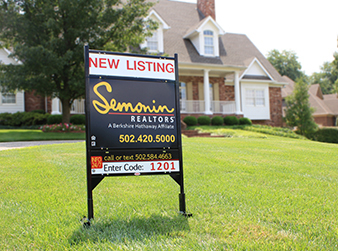 At Semonin Realtors, we develop tools for all types of buyers and all ages of buyers. Our goal is to go where the buyers are going and offer them unbeatable service when we meet them. It takes the coordination of efforts from numerous individuals at Semonin to offer the marketing tools and systems hundreds of buyers use each week. We combine our efforts to focus on tools which run 24/7. We combine our efforts to focus on specific weeks in the year when buyers are more inclined to think real estate and less about holidays, vacations, and kids going back to school. Let our experience work for you. In addition to all the activities to market your home, our agents' knowledge and experience are on hand all hours of the day to negotiate on your behalf. Selling a home is not a typical daily activity for most people. For Semonin, it is our daily activity and it is why we want to help you. Selling a home is a significant event in most everyone's life. 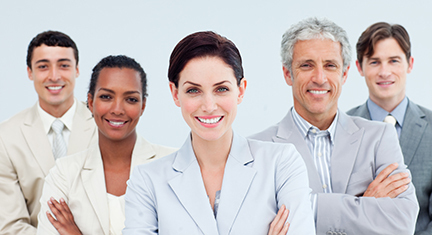 Semonin agents strive to ensure the managing of offers and contracts are as seamless as possible. Most of the efforts our agents put forth to help sell your home and get you to the closing table involve offers, counter offers, contract negotiations, inspections and more. It takes emails, phone calls and the coordination of many companies and individuals to make both buyers and sellers comfortable during the process. 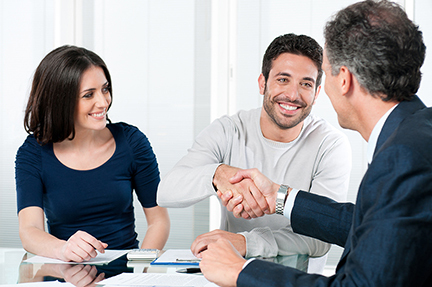 Full service agents help you throughout the entire process. Semonin agents work with you from beginning to end. From the day we sign the listing agreement until we arrive at the closing table, you can count on a Semonin associate.